"It's happening all over again…" Netflix has unveiled an official trailer for an indie drama titled Small Crimes, from writer/director E.L. Katz, who last made the cult favorite Cheap Thrills. 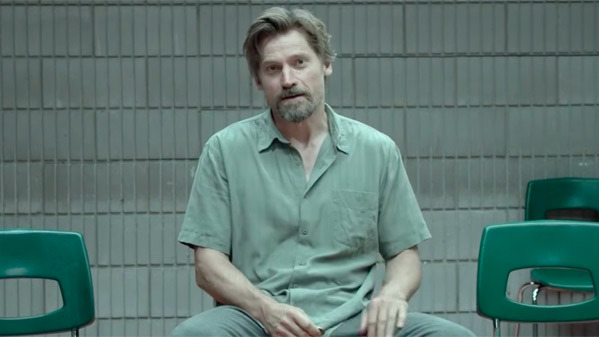 "Game of Thrones" star Nikolaj Coster-Waldau plays a disgraced former cop who returns to his town from a prison sentence for attempted murder, hoping for redemption only to end up trapped in the mess he left behind. This film has an excellent supporting cast including Gary Cole, Jacki Weaver, Robert Forster, Molly Parker, Michael Kinney, Pat Healy, and Macon Blair (who co-wrote the script). This trailer is actually quite impressive - the dialogue is spot on, footage looks great, there's some cool action, I'm definitely intrigued. After serving time for the attempted murder of a District Attorney, disgraced former cop Joe Denton (Nikolaj Coster-Waldau) returns home looking for redemption. An embarrassment to his parents and abandoned by his ex-wife, it seems as if things can't get much worse. But then Joe finds himself trapped in the mess he left behind -- in the cross fire between a crooked sheriff, the vengeful DA, and a mafia kingpin who knows too much. Small Crimes is directed by American filmmaker E.L. Katz, of the cult horror hit Cheap Thrills previously. The screenplay is co-written by E.L. Katz and fellow filmmaker/actor Macon Blair; based on the novel by David Zeltserman. This film is premiering at the SXSW Film Festival this month. Netflix will then release Small Crimes streaming starting April 28th next month. So how does this look?